Four years have gone, in the blink of an eye. And what a ride it’s been. 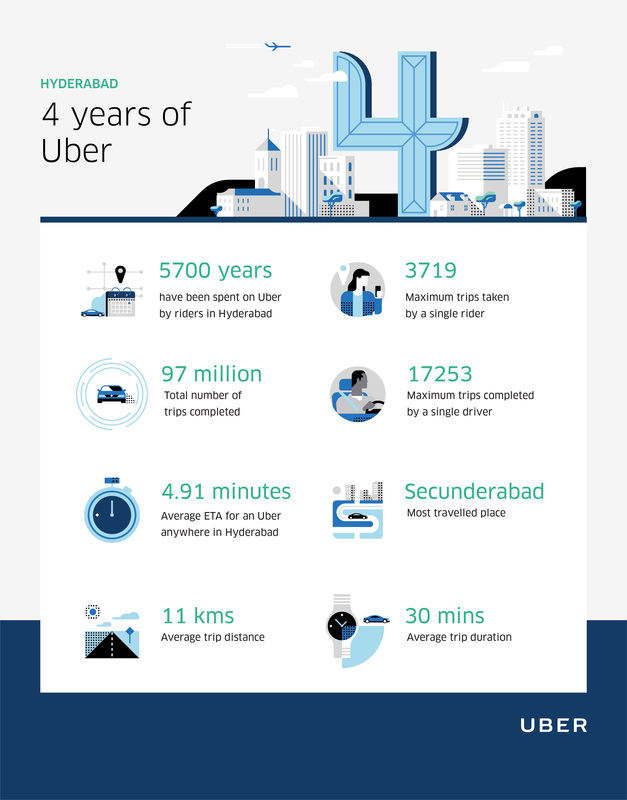 Four years ago, Uber officially launched in Hyderabad. We’ve come a long way since then – quite literally – with millions of journeys and tens of thousands of economic opportunities created. Today, more Hyderabadis have access to an affordable, reliable ride, making it easier for residents to get to and from work, and for visitors to explore traditionally underserved neighborhoods. When we launched Uber in Hyderabad back in 2014, it was an exciting alternative to get around the city. Today, Uber has fundamentally changed the way we move in Hyderabad. It’s near impossible to imagine a time when you couldn’t flip open the app and request for a ride. In four years, we went from moving hundreds to millions in Hyderabad. And for that, we’re thankful. As our tribe grows, we’re leaving you with a glimpse of some of our favorite milestones and events from the last four years. This is still just the beginning. Here’s to the next four years and beyond—thanks for joining us on this ride. Here’s to you Hyderabad. It’s been an amazing four years.